Is your computer running slow? Is it taking too much time to start your computer? Then it’s time to optimize your computer. Windows computer usually slows down with time. So we need to take care and use system optimizer software to speed it up. 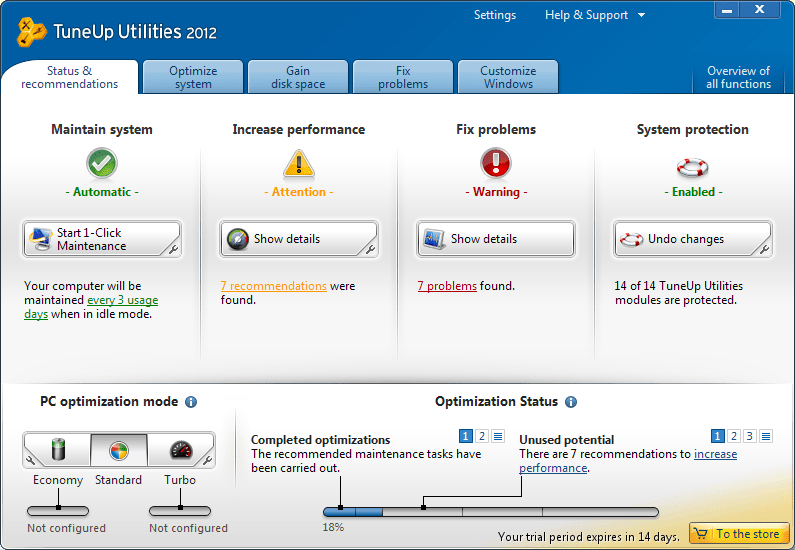 TuneUp Utilities is a well-known full system optimizer software suite. TuneUp Utilities 2012 is the latest version of this great system tuning software. TuneUp Utilities 2012 promises that your computer will run fast no matter how old the system is. There are many essential tools to make a slow computer running like a new computer. 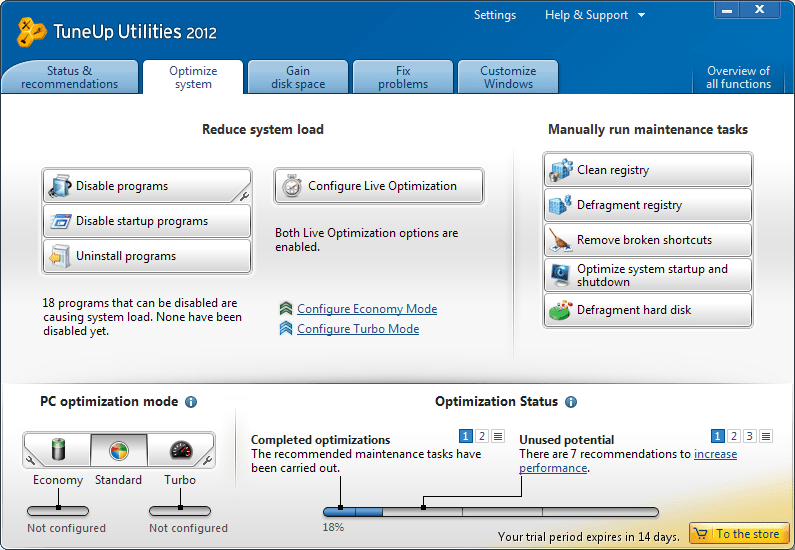 The user interface of TuneUp Utilities 2012 is very attractive and easy to use. 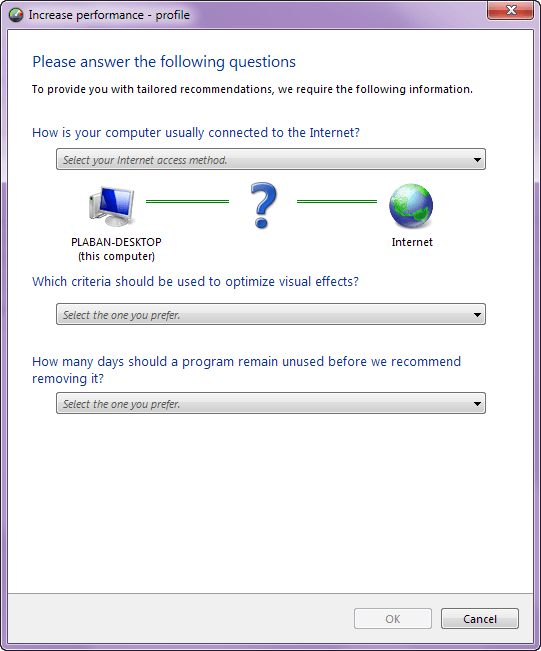 In the main program screen it shows PC optimization status and recommendation. From this screen we can easily switch between different PC optimization modes like Economy, Standard and Turbo. These modes comes very useful to laptop users who want to maximize battery life without compromising system performance. 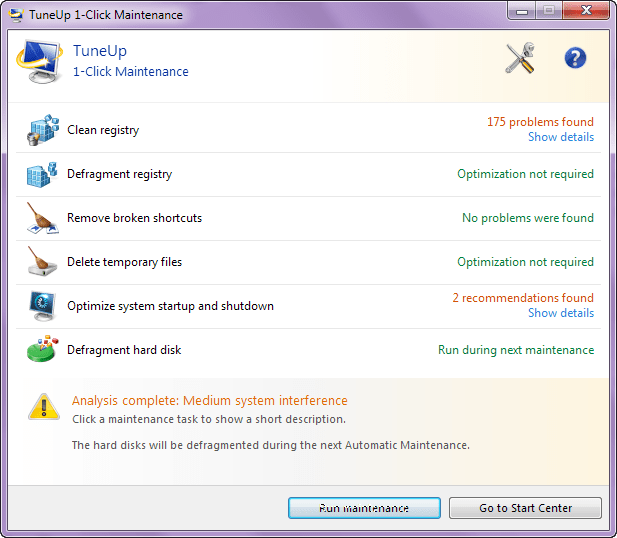 The most useful feature of TuneUp Utilities 2012 is 1- Click Maintenance mode in which it scans the computer for broken registry entries, temporary files, broken shortcuts, optimizes system start-up and shutdown speed and finally defragment hard disk drives for better performance. This tool comes very handy when we want to speed up computer quickly and this tool also runs in background in schedule. We can further optimize system performance after creating the system profile. In the system profile select answers of three simple questions and TuneUp Utilities 2012 will automatically analyze your computer and show performance optimization tips. The Optimize System tab is shows several tools to speed up slow computers. From this screen we can easily disable some programs to speed up computers or remove unused software from our systems or disable unwanted software from startup. Here we can configure the Live Optimization option also. Gain disk space option allows us to free up hard disk space for better performance. TuneUp Utilities 2012 scans through the hard disk and find out the unneeded system files and temporary files and deletes them. Various common computer problem can be fixed using Fix Problems option. Here this software scans our system and allows us to fix many common Windows problems which every user faces in day to day. Deleted files can be recovered easily using the Restore deleted files option. We can see detailed computer information in this page. 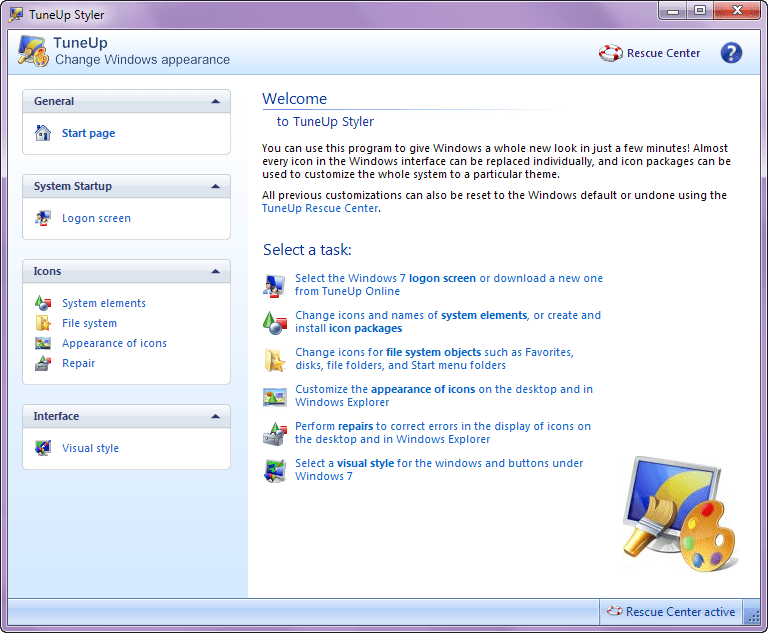 If you love to customize your computer, then TuneUp Utilities 2012 will be a great companion. It has many options to make Windows computer more beautiful and unique. New theme and icons can be installed in the system using the Tuneup Styler and if you face any problem in customization there is always backup and restore option to go back to previous state. Latest Tuneup Utilities 2012 costs $49.95 and if you are upgrading from older version the you need to pay $29.95. There is a 14 day full functional trial version available for download. Compared to the Advanced System Optimizer, which is another great all in one pc maintenance software, TuneUp Utilities is a bit more pricy. But I think it’s definiteley worth it, since the TuneUp Utilities has a more easy to use interface, while optimizing and cleaning the computer in a bit more detail. Nevertheless, Advanced System Optimizer is probably a better choice for those who have older computers, which have 512 MB of Ram or even less, since this program is less resource demanding, and it also supports older versions of Windows.